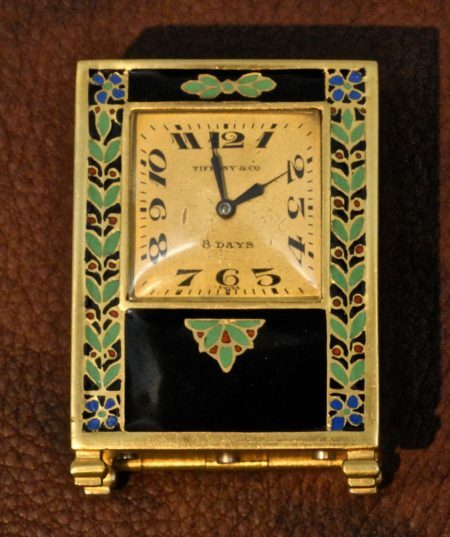 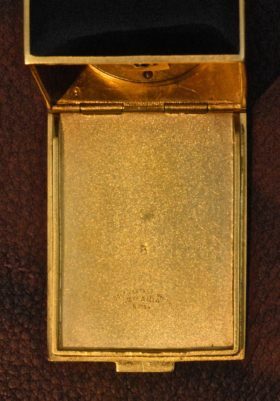 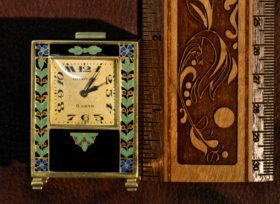 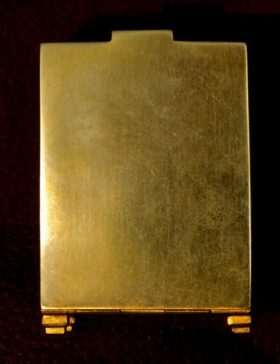 Retailed by Tiffany & Co., this miniature desk clock resides in a beautiful Art Deco case. 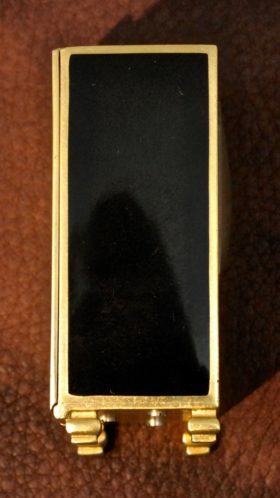 The case is crafted of sterling silver with vibrant enamel inlays. 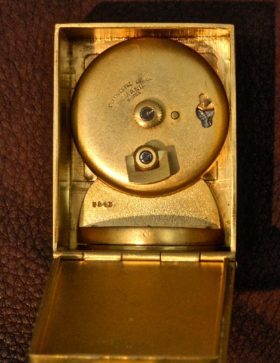 The timepiece features an 8-day Swiss movement.